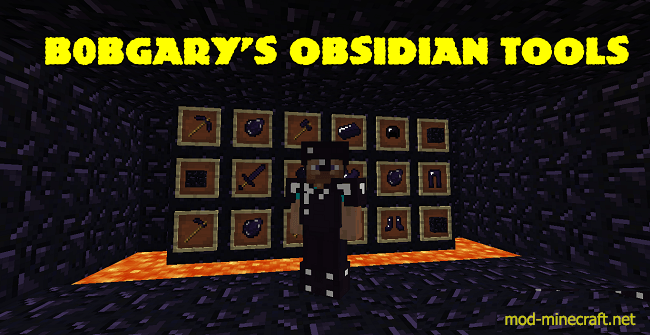 This mod adds awesome new obsidian tools! 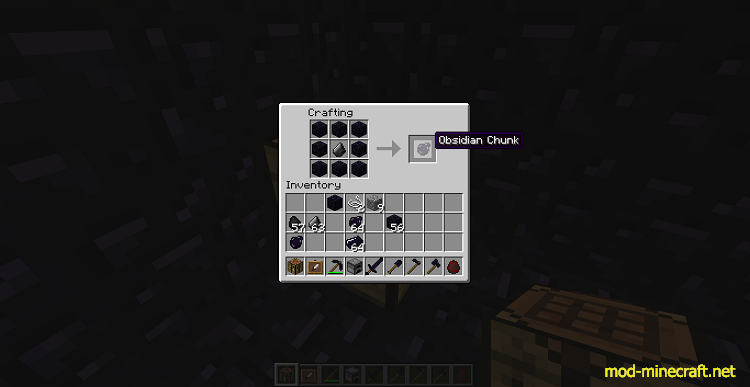 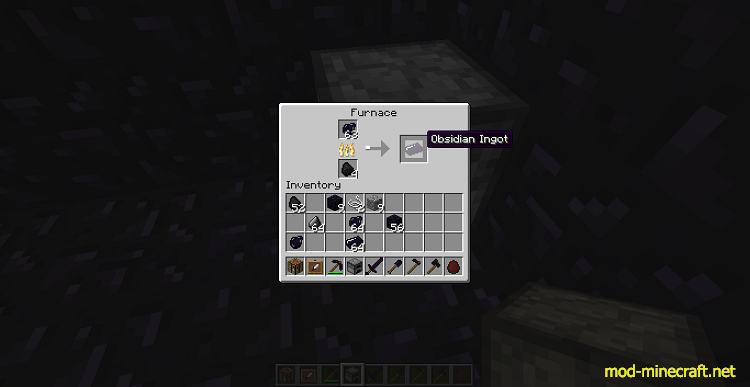 Obsidian Tools are have 3225 durability (after you see the recipe) and fairly good speed and have a high enchantability (after all, the mystical obsidian brings you to the nether!). 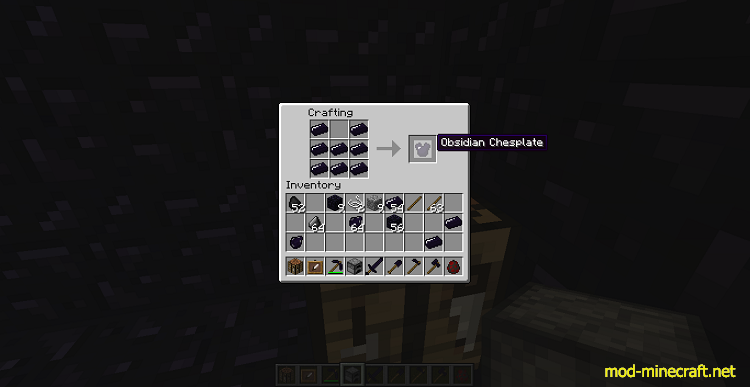 Obsidian Armour is also highly durable and fills 3,8,6,3 (total = 20 (full)) armour points.